I probably don’t have to remind you how important it is to vote this year. But it is especially vital to safeguarding our remaining environmental protections. This year Rep. McSally completely disregarded our requests to protect our waterways. In fact, she used her clout with the President to urge him to sign a bill allowing mines to dump their toxic tailings into our streams. See her letter to the President here. Since President Trump has taken office, there have been so many assaults on our national parks, national monuments, wildlife refuges, endangered animals, the ocean, our water, and even the air we breathe. Our so-called representatives worked to repeal or dismantle hard fought for environmental protections: Clean Power Plan, Clean Water Act, Clean Water Rule, Methane Waste Prevention Rule, Clean Air Act, Emissions Standards, Endangered Species Act, to name a few. Putting a hold on the Clean Power Plan made Sustainable Tucson’s advocacy team’s fight against TEP’s 10 gas-fired engines so much more difficult (if not impossible). Read my blog about our struggle here. If you would like to help our efforts in encouraging TEP to transition quicker to clean energy, there are two things you can do. 1) Vote “yes” on prop. 127, the citizens initiative that requires them to transition to 50% clean energy by 2030. Read: Renewable Energy and Prop 127, in a nutshell by Paul Hirt. 2) Vote for members of the Arizona Corporation Commission who haven’t been bought by the utility companies. The Sierra Club, Grand Canyon Chapter endorses Sandra Kennedy and Kianna Sears for the ACC. Sandra Kennedy previously served in the Arizona Legislature and as a Corporation Commissioner. She is a strong advocate for solar energy and energy savings through efficiency and conservation, and she supports Proposition 127. Sandra has repeatedly opposed efforts to weaken Arizona’s Renewable Energy Standard, including by voting against trash burning as a renewable energy resource. Sierra Club gives Sandra Kennedy a strong endorsement. Kiana Sears wants to help put the Arizona Corporation Commission back on track to do its job to hold utilities accountable. She supports Proposition 127 and significantly increasing our state’s commitment to clean renewable energy such as solar and wind. She also wants to see the Commission do more to watchdog private water companies. Sierra Club is pleased to endorse Kiana Sears for the Arizona Corporation Commission. 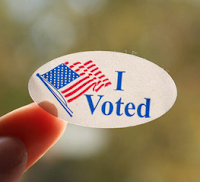 You can read the Sierra Club’s voter guide here. It is also important to vote for Arizona legislators who aren’t trying to dismantle our environmental protections. In the past year, Sustainable Tucson’s advocacy team submitted Requests to Speak in response to several bills that would weaken the Arizona Water Law that requires proof that there is 100 years worth of water before applications for new developments are approved. Realtor Gail Griffin, the chair of the Natural Resources, Energy and Water committee, fought tooth and nail to weaken these laws so they can push through a new development that would drain the one river in Arizona that still flows year round: the San Pedro. The newest report from the Intergovernmental Panel on Climate Change (IPCC). states that Climate Change is worse than first thought, but… humans can still prevent the worst effects. 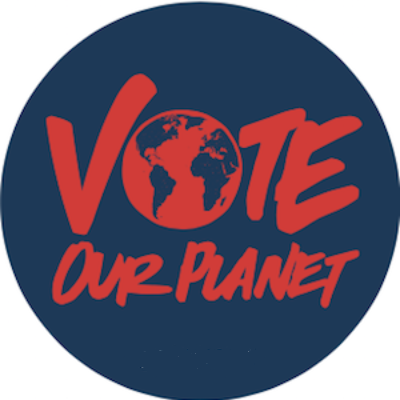 This election is an opportunity to make a real difference by voting for the planet.